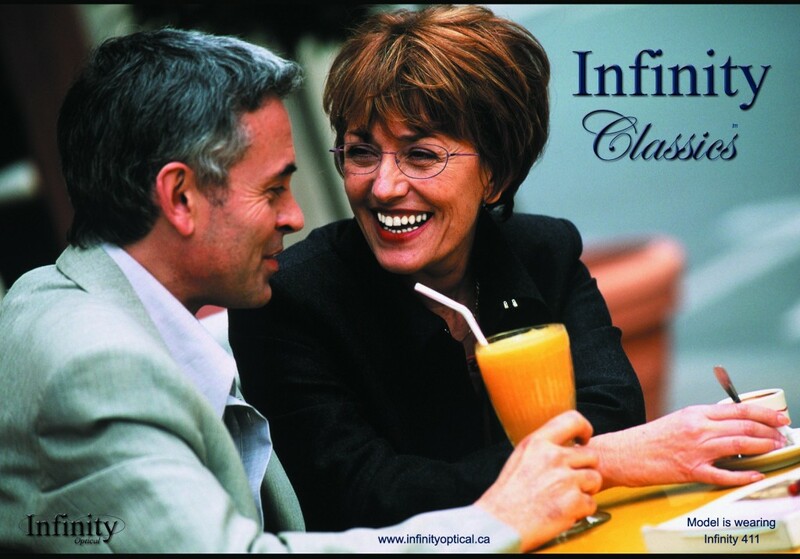 Infinity Classics is a high quality collection aimed at the progressive wearer. The mature man and woman who knows what works for them will find it easy to choose a model that suits their face shape and colouring. We try to keep all models in the Classic collection, just that, classic! Many of these styles have been in the market place for many years. Infinity Eyewear is truly timeless in design. Sizes range from 49 to 57 eye.